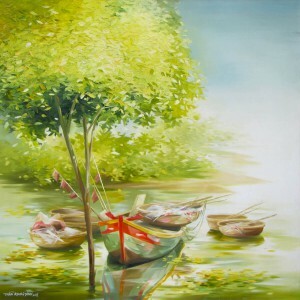 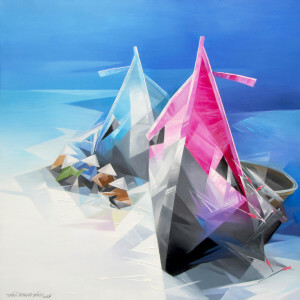 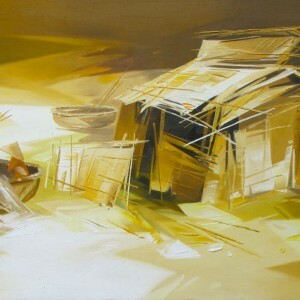 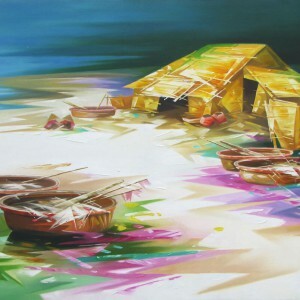 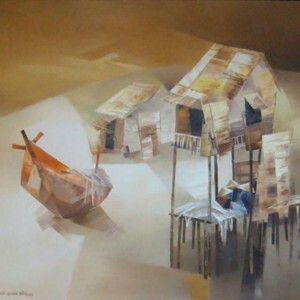 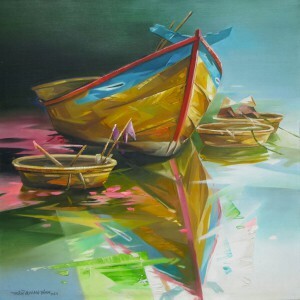 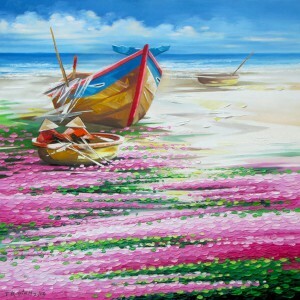 A ubiquitous scene of fishermen preparing their boats before leaving for the sea is turned into a truly idyllic piece. 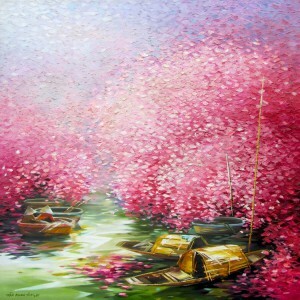 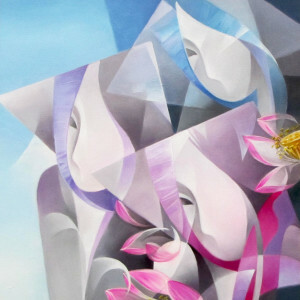 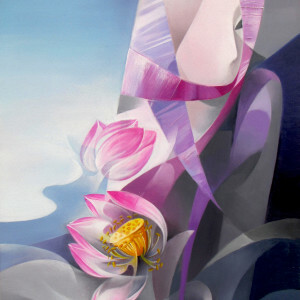 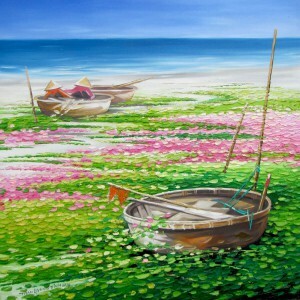 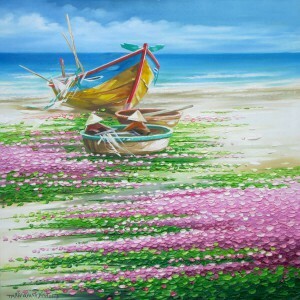 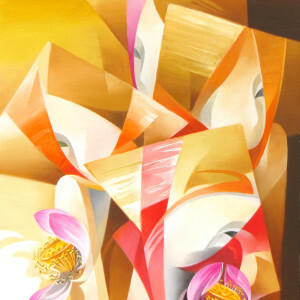 The stylistic representation of blooming lotus flowers add poetry to the seascape. 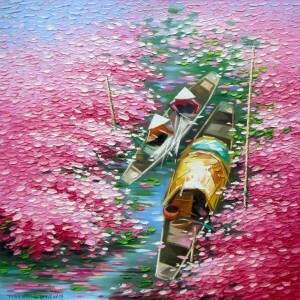 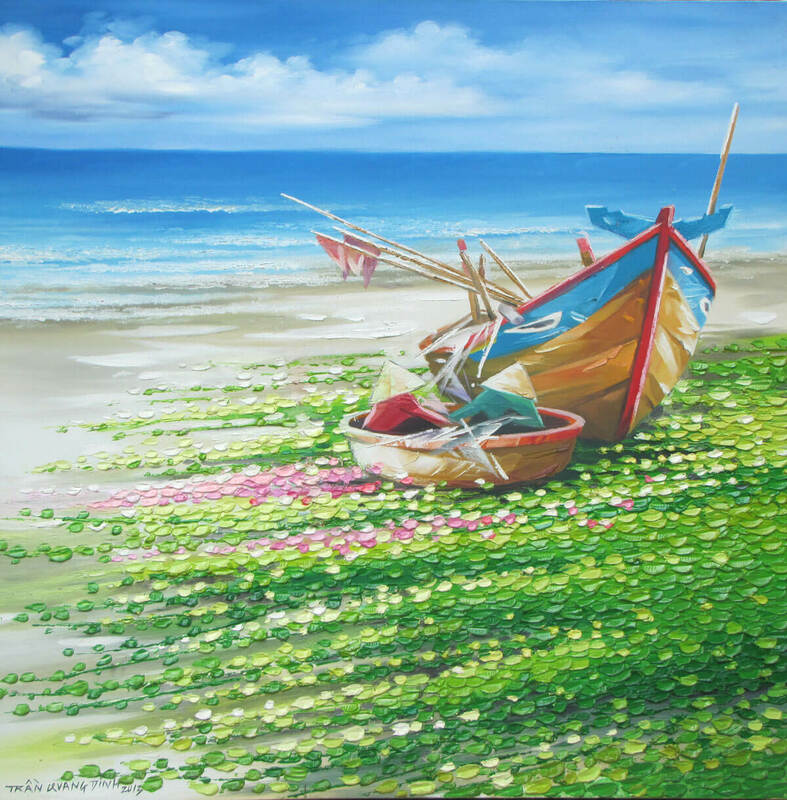 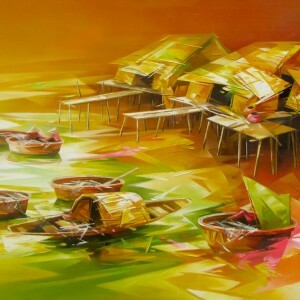 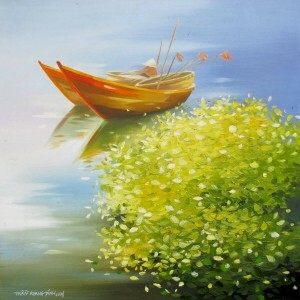 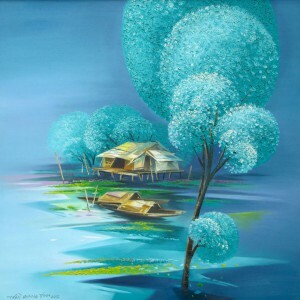 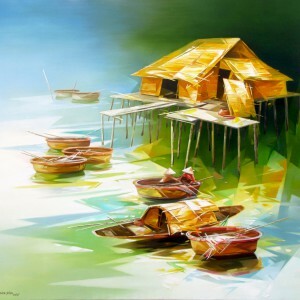 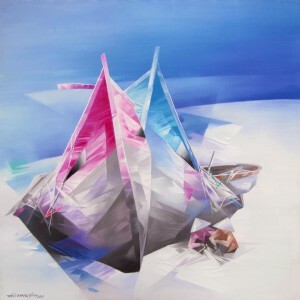 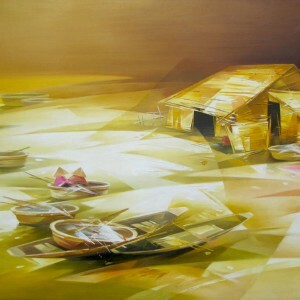 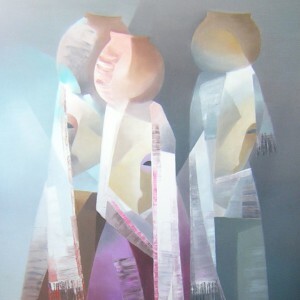 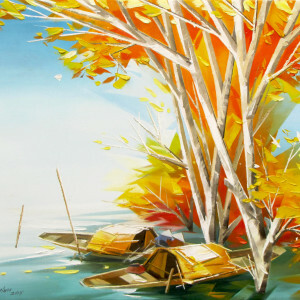 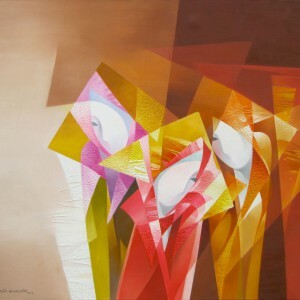 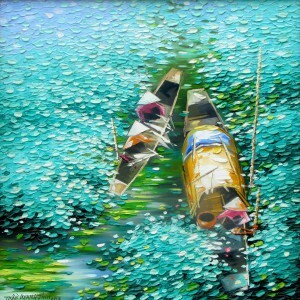 Contemporary Vietnam artist Tran Quang Dinh combines open, pulsating tints with relief brush strokes to produce an impressive image of the earthly Paradise.